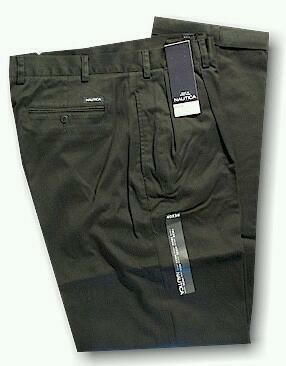 Soft cotton twill. Longer rise than most cotton slacks. Generous room in seat and thighs. Inseams run long. Great pant!